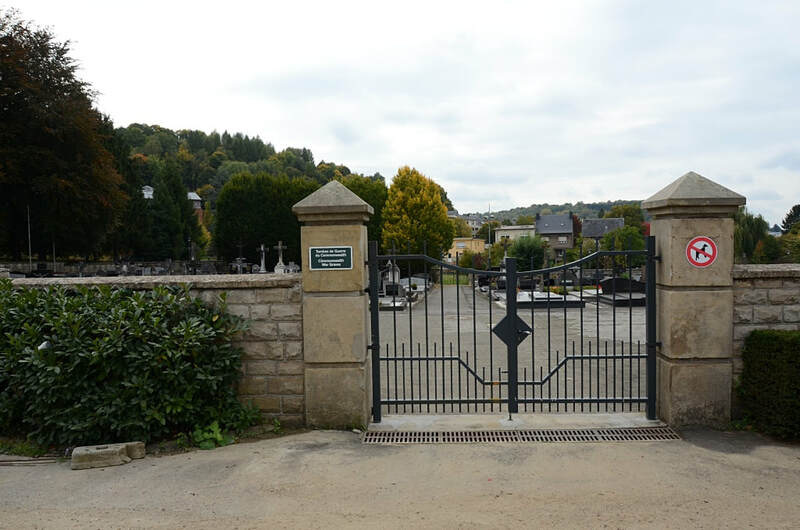 Lamadelaine is a village 2 kilometres south-west of Pétange, by which it is administered, and is 22 kilometres south-west of Luxembourg, the capital of the Grand Duchy. 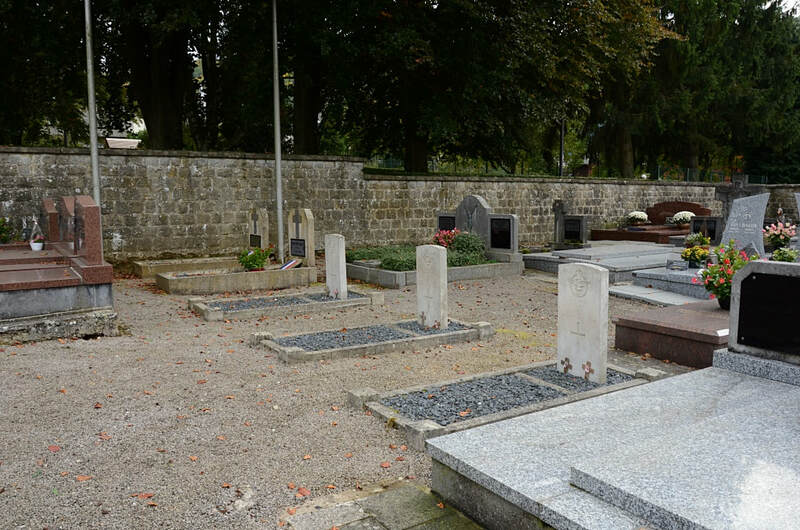 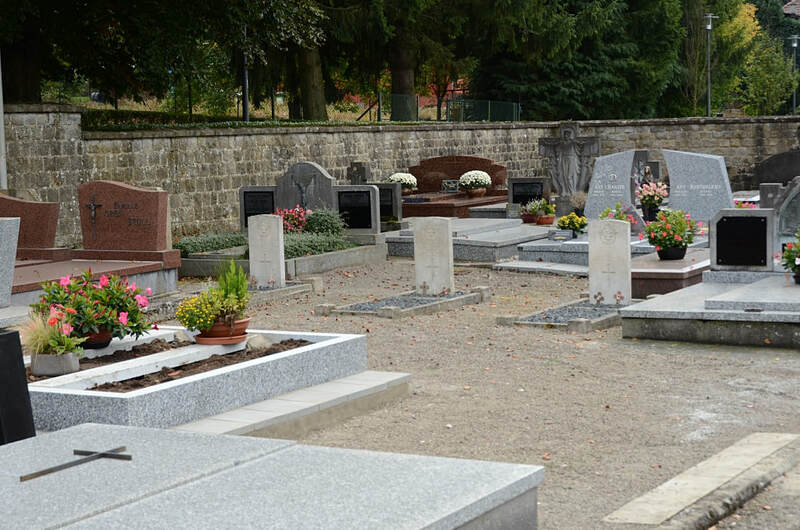 The cemetery is in Rue Providence, on the western outskirts of the village. The Commonwealth burials are near the southern boundary wall. 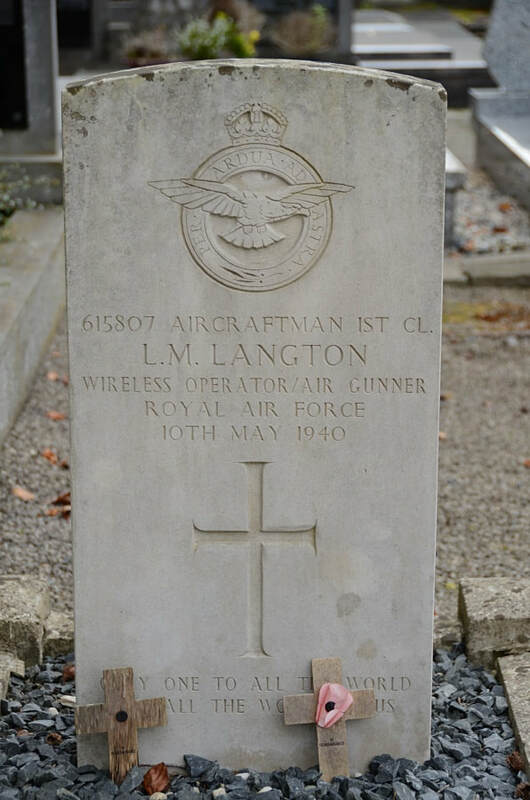 GPS Co-ordinates: Longitude 05°51'15", Latitude 49°32'46"
615807 Aircraftman 1st Class Leon Meridith Langton, Wireless Operator/Air Gunner in 142 Squadron, Royal Air Force, died 10th May 1940. Son of Alfred and Elizabeth Langton, of Codnor, Derbyshire. 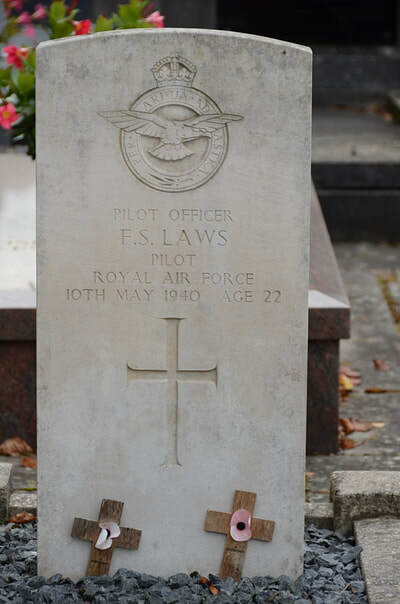 41431 Pilot Officer Frederick Stanley Laws, Pilot in 142 Squadron, Royal Air Force, died 10th May 1940, aged 22. Son of Derwin and Hilda Laws, of Clacton-on-Sea, Essex. 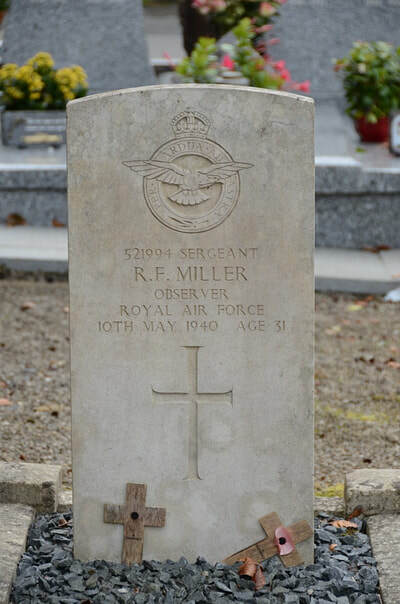 521994 Sergeant Robert Finlayson Miller, Observer in 142 Squadron, Royal Air Force, died 10th May 1940, aged 31. Son of William Nisbet Miller and Helen Finlayson Miller, of Stirling.